I received Fair Ivy’s third package for September. 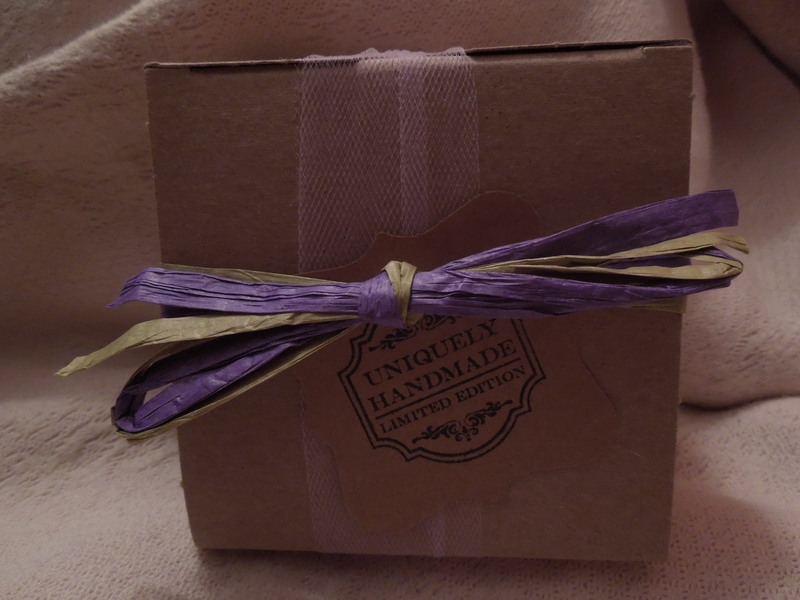 Their subscription service features beautifully wrapped handmade items. Skip down for more details on subscription options along with a coupon code. Now for the review! Once I opened my package I was greeted by a lovely tulle and raffia wrapped box with a cute little stamp that read “uniquely handmade limited edition”. 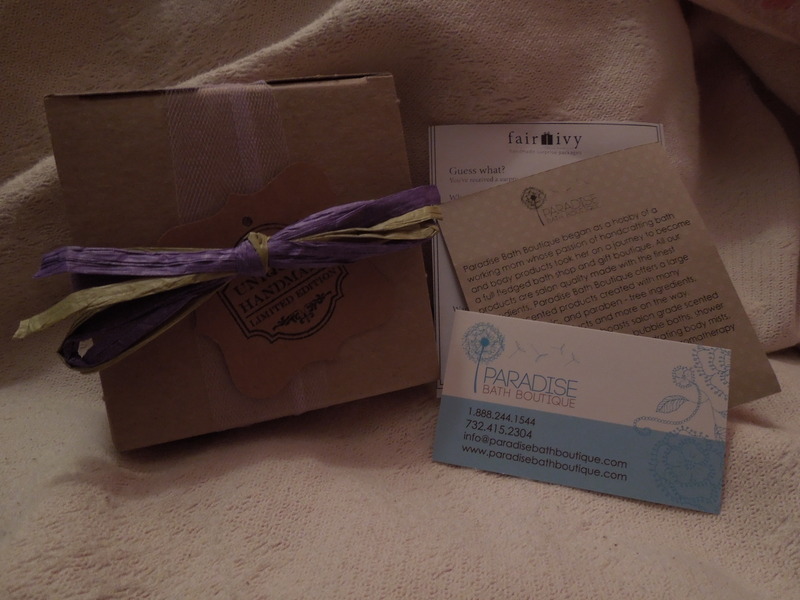 I think of all the gorgeous packaging I received from Fair Ivy, this is my absolute favorite. The only bath salts I currently own are some lavender scented Epsom salts from the grocery store so this is a luxurious upgrade. The salt mixture includes dried flowers which really make it feel special. This package plus the fancy pants bubble bath from my fall style Popsugar box make me think I need a much better bathtub to go with all my awesome products. 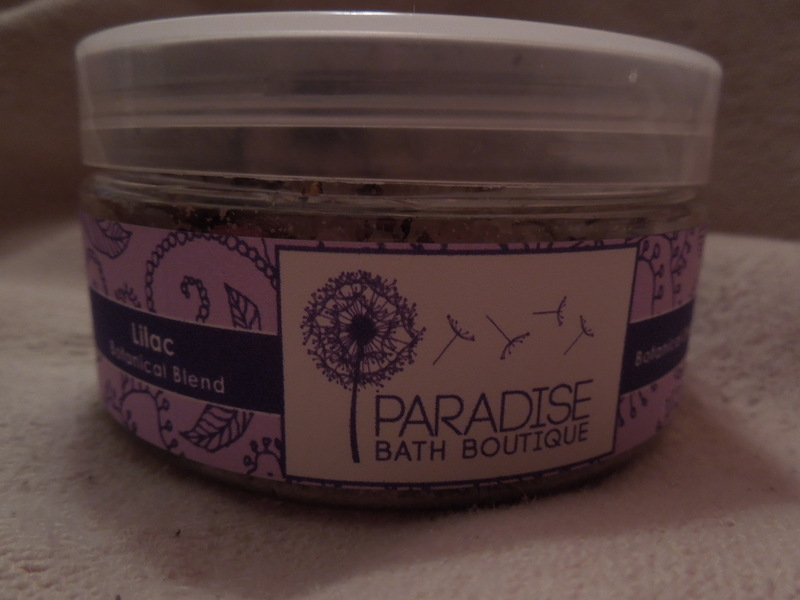 According to the Paradise Bath Boutique website, the cost for these salts is $7.00. My first package for Fair Ivy was the lovely silver and gold plated necklace at about $23 and then the caramel sauce which I’m estimating at about $8.00. This brings the total value I received at about $38 without shipping costs. My Fair Ivy subscription costs me $48 including shipping so I think I got my money’s worth. They have the prettiest dried flowers in them. I highly recommend trying them out!